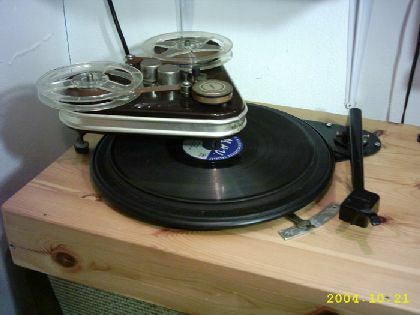 The tape recorder production began in Hungary 1954. This machine in the picture was the first production. It has assertable stands, and a preamplifier. The records has made from a microphone, from the radio, or from the gramophone. The frequency response is between 60 Hz- 8 kHz, and it is better then the dates in "user's guide".